This is one of approximately 24 Masons’ Marks to be found within Seaton Collegiate Church. Comparing them with those at Rosslyn Chapel reveals that only four are identical and two have some similarities. It has been suggested that when work ceased on Rosslyn Chapel c.1484 some of the stonemasons from there came to work at Seton and the existence of four identical masons’ marks might bear that out. 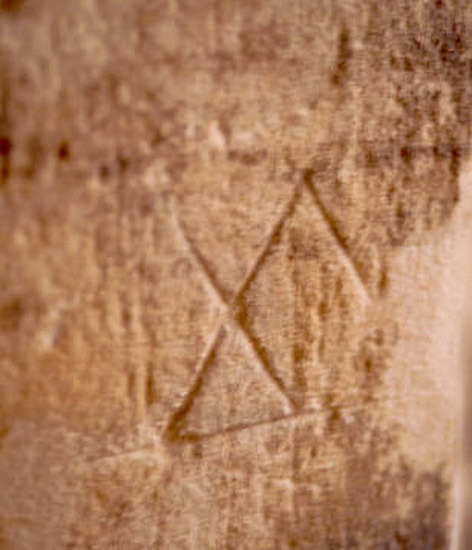 A comparison with masons’ marks in other ecclesiastic buildings would be an useful but very time consuming project.